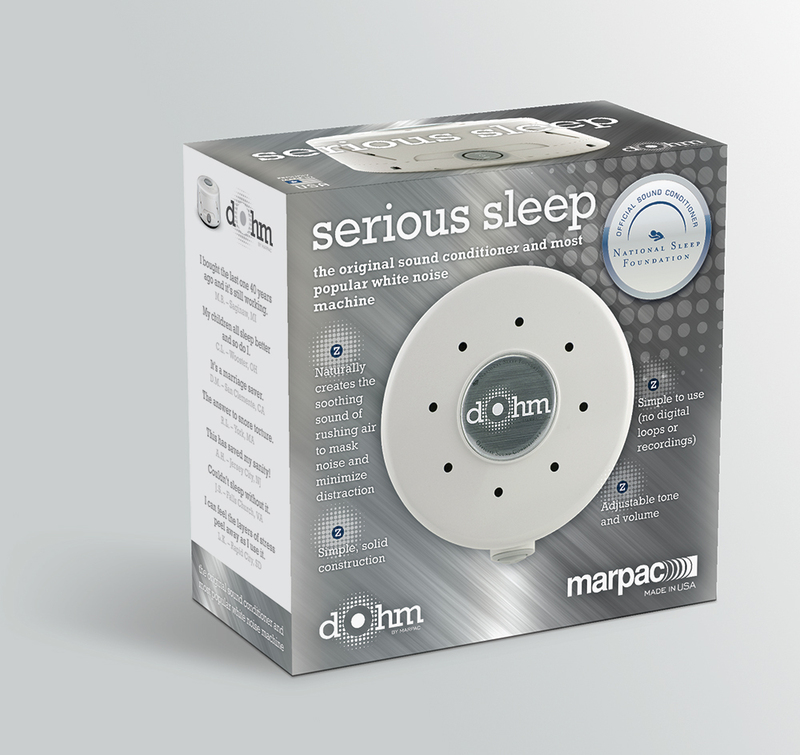 Marpac hired us to revise the carton design for their DOHM “Serious Sleep” sound conditioner. They wanted a package that clearly and quickly communicated the purpose and benefits of the unit. Our carton design used product photos on top and front panels to create an “orthographic projection” effect, as if one could the actual product through the box. We retained the same fonts and many of the existing elements of their branding, but improved on the brushed metal effect, and gave more prominence to an explanation of the product and its key benefits. It all began in 1962 with a metal dog dish, a case of insomnia, and a man who really loved to tinker.